A unique Christmas card featuring a little drummer boy's drum and words, 'Pa Rum Pum Pum'. This card really pops when seen through 3D glasses! A unique, extra special greeting card for someone special. List 5 books they would love and create a truly memorable card that they will likely keep for ever! Blank inside for your own message. 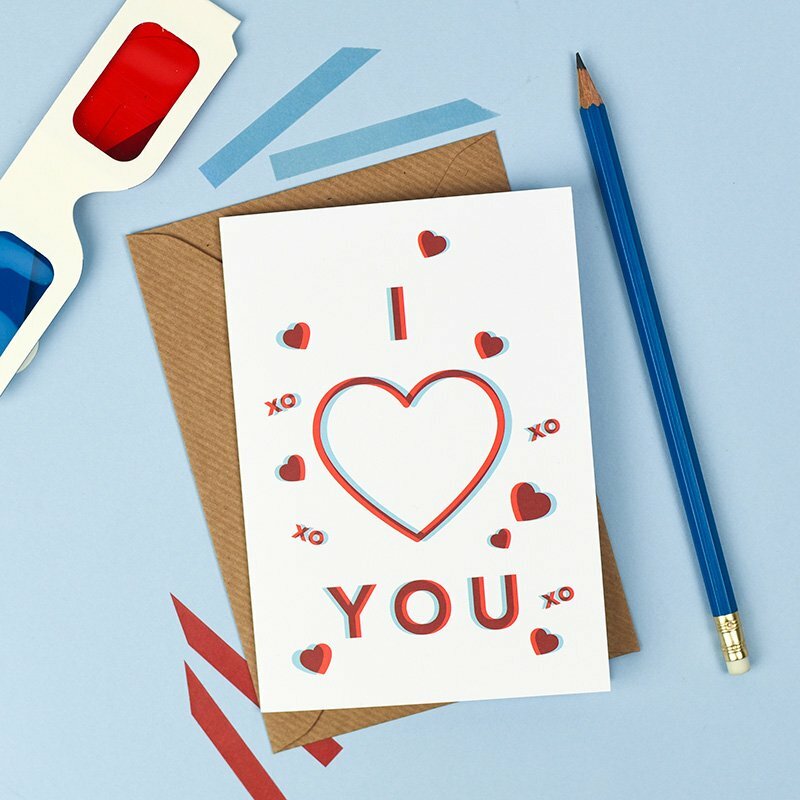 A unique, extra special greeting card for someone special. List 5 reasons why you're proud of them and create a truly memorable card that they will likely keep for ever! Blank inside for your own message. A unique, extra special greeting card for someone special. List 5 songs that you share a love of and create a truly memorable card that they will likely keep for ever! The card is blank inside for your own message. 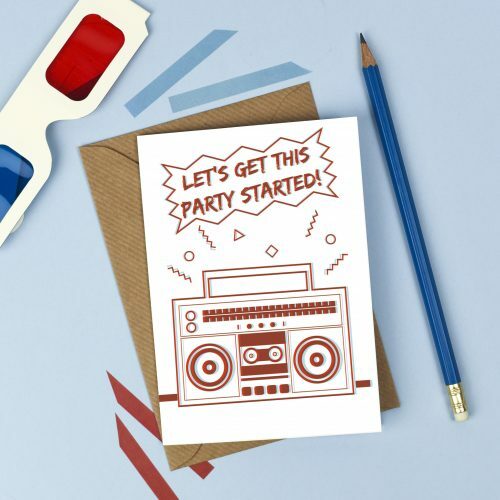 Say 'Bon Anniversaire' in style with this retro design. The card is blank inside for your own message. Say 'Gracias' in style with this fun, retro design. The card is blank inside for your own message.